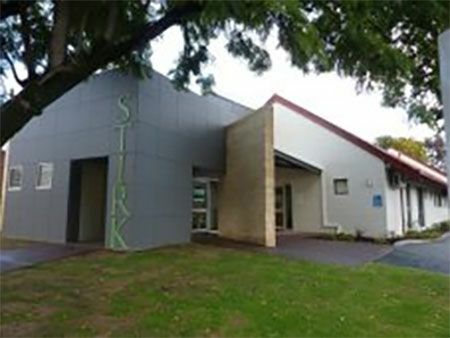 Kalamunda is the largest and busiest of the surgeries and is the administrative hub of Stirk Medical Group. Stirk Kalamunda was initially built in 1974 and had just 3 consulting rooms, a theatre room, and a large waiting/reception area. It has since been extended several times, the last time being in 2009 so that there are now 7 consulting rooms, a minor operations room, a nurses treatment room, a large upstairs meeting room a large reception/waiting area and additional offices, and rooms for Clinical Labs Pathology Collection Centre at the front. It is situated in Kalamunda next to the shops and pharmacies, and on a main bus route.